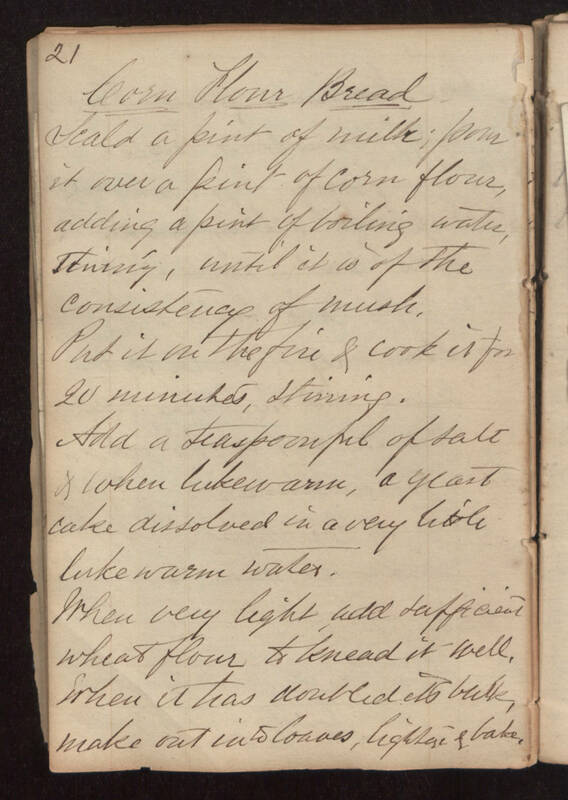 21 Corn Flour Bread Scald a pint of milk; pour it over a pint of corn flour, adding a pint of boiling water, stirring, until it is of the consistency of mush. Put it on the fire & cook it for 20 minutes, stirring. Add a teaspoonful of salt & when lukewarm, a yeast cake dissolved in a very little lukewarm water. When very light, add sufficient wheat flour to knead it well. When it has doubled it's bulk, make out into loaves, lighten & bake.